The Sporty Electric Car that Could Be. 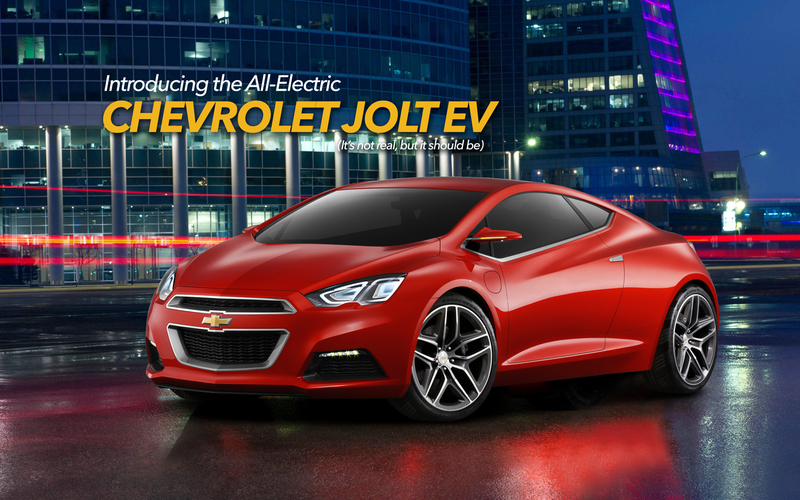 This fan-generated website lays out the proposal for the Chevrolet Jolt EV, a sporty electric vehicle concept offering an estimated 230 miles of range per charge at an affordable price. Imagined utilizing the Chevrolet Tru 140s concept design and the specs from the company’s new Bolt EV platform, the Jolt EV would offer fun, compelling technology, efficiency and peformance in a sporty package designed to appeal to mainstream car enthusiasts everywhere. The Jolt EV would be an electric vehicle that features a lithium-ion battery that offers gas-free and tailpipe-emissions-free power and performance. Jolt EV would let you have fun beyond the city with a category leading 230 miles of range. Coupled with CCS DC fast charging, the open road would became electrified like never before. At Home, You’re in Charge. When you return home from work or road trips, charging your Jolt EV would be as easy as plugging in your cell phone. An available 240-volt charging unit (professional installation required) would provide more power and will charge your Jolt EV faster. The standard Location-Based Charging feature would make it easy to customize your charging settings when at home, and take advantage of public and DC quick charging when away. Up to 25 miles of range per hour of charge at home. The available 240-volt charging unit would be the fastest way to recharge your battery at home and offers more power than a 120-volt outlet. This higher-voltage system can provide up to an average of 25 miles of range per hour of charge and fully replenishes the battery in about 9 hours. The Battery: Where it all starts. You have places to go, and the Chevrolet Jolt EV would make it possible with a nickel-rich lithium-ion battery. Here’s how: The battery chemistry enhances heat resistance and a liquid cooling system helps manage its temperature when the outside climate varies. Plus, the battery pack has an energy capacity of 65 kWh – allowing you to travel an estimated more than 230 miles of range on a single charge. 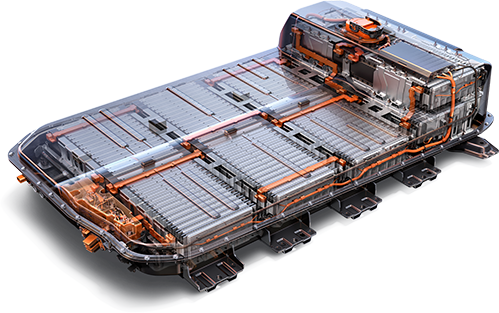 And thanks to an innovative battery cell arrangement, Jolt EV would offer a low-profile underbody. This maximizes interior space for passengers and cargo. The centrally located battery pack provides optimal center of gravity, for excellent ride and handling. If you feel like every detail of the interior looks like it was made just for you, it’s because it was. The interactive, standard 10.2-inch diagonal tablet-like display would offer multi-functional screens that you could control with simple, intuitive gestures. Split-screen and expanded views would make it easy to navigate and access your music, contacts and more, while night and day modes would provide enhanced visibility. Customize and control with ease. By learning your every move, Jolt EV would help to keep efficiency at its peak. Want to know how much energy you’ve used? There would be a screen for that. Valuable information like your battery levels, range estimation, charge settings and climate controls would be readily available on the standard 10.2-inch diagonal center display screen and 8-inch diagonal driver cluster. Jolt EV would offer more advanced ways to connect. Apple CarPlay™ which is a smarter way to use your iPhone to make calls, listen to music, get directions and more on the 10.2-inch diagonal display. Android Auto™, would allow you to connect your compatible smartphone to the tablet-like center display to access select apps, your calendar and playlists or navigate with Google Maps™. The Jolt EV would signify a shift in performance for Chevrolet, but the bowtie heritage would remain in the colors that provide the first impression. Whether you are looking to stand out or have a dark, luxurious look, your final choice would embody a combination of innovation and tradition from Chevrolet. Helping protect you is an important job. And helping you prevent collisions is a big part of that. Jolt EV would offer a number of ingenious radar- and camera-based systems designed around the vehicle – from front to back and on both sides. In other words – Jolt EV would have the technology available that can help make driving safer. 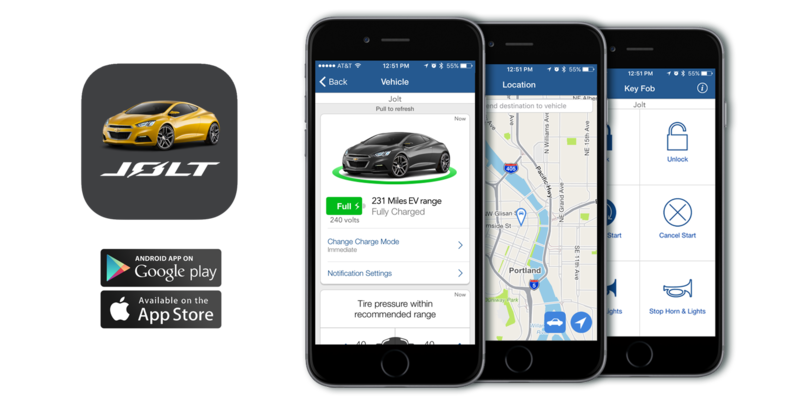 You could communicate with your Jolt EV like no other car you have ever owned with the Jolt EV app. Check your charge status, locate your vehicle, remote start and turn the AC up on hot days, and more. The Jolt EV would be an extension of your digital life that allows you stay connected and in control using your mobile device. * Submitting this contact form adds your name to a growing list of consumers interested in the Jolt EV. Submitting this form does not signify or guarantee a purchase or reservation for the Jolt EV. The intent of this contact form and list is to gauge consumer interest in the Jolt EV with the hopes to gain enough support that Chevrolet would put the vehicle into production and bring it to market around the world. Your information will not be shared with any third parties.